The submission must be made by a tax compliant production company. Is it ok if a production company isn't incorporated at time of submission? Do I have to have a producer? Each submission has to come through a production company so yes. Where do I find a producer? Do producers need to be experienced? Storyland is an opportunity for producers, writers and directors to work in a less demanding space than prime time TV. Its remit is talent development and we take everybody’s experience into account when assessing the dramas. It is not essential that producers have made dramas before. Can a producer make more than one submission to Storyland? Producers aren’t restricted to only one submission but we will need to be assured that they can manage more than one project in the timeframe available. If you are making more than one submission, each one must be submitted separately. Can you have two producers? Yes as long as you can creatively justify it and as long as it works within the budget. If two producers are attached to a single project one producer must be named as the lead producer. Is it possible that a writer / producer submit? Yes, but the submission must be made through a production company. Can you work with a writer team? Yes, as long as the budget allows, but bear in mind that most dramas have one primary voice and one point of view that authors it. Can a writer submit more than one submission to Storyland? There are no restrictions on how many dramas a writer can submit. How much does the writer get paid? That’s for the producer and the writer to decide. The budget for each of the commissioned dramas is €31,500 which must cover all production costs. Where do the directors write to with expressions of interest? Is Storyland looking for comedy? Storyland is open to comedy drama. Note that it must be scripted and not broken or sketch based comedy. Is Storyland interested in docudrama? If the script exists as a blog is eligible for submission? A script born out of a pre-existing blog would be acceptable for submission to Storyland 2019, but it still needs to be able to work as a scripted drama. Does extreme violence matter in the episode? Violence needs to be justified by context and not gratuitous. Do you accept existing recorded material? Storyland commissions scripts and develops them with the producers and writers. They then go into production. This is different to licensing existing material so we don’t accept dramas that have already been made. How many sample scenes should be submitted? The purpose is to get a few sample scenes to indicate the writer’s voice and the tone of the series. We ask that you submit a few scenes rather than the complete twenty minute script. How extensive should the outline be? The outline is a description of what happens in the story and who the principal characters are. There are no hard and fast rules as to how long the outline should be, we need enough to give a sense of the drama but do not need minute details. Is Storyland 2019 open to the diaspora? 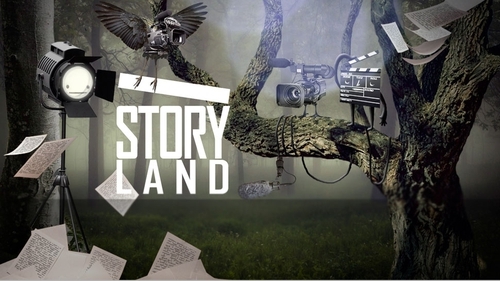 Storyland is for talent development for producers, writers, directors, actors and crew on the island if Ireland. If a story is set abroad, and relatable, that’s fine, but it will have to work within the parameters of the budget. The duration of each Storyland drama is twenty minutes plus or minus 30 seconds. Can the 20 minutes break into episodes? No, Storyland will commission up to six separate, standalone twenty minute dramas. Does it have to be a closed story? Storyland consists of up to six commissioned single dramas. How the drama concludes is up to you but, if it is part of an ongoing story, it must be able to stand up as a complete story on its own. Will Storyland 2019 be commissioning series or just one off dramas? Storyland 2019 will commission up to six individual, standalone, twenty minute dramas. It’s up to you if you think the drama has possibility to endure. But the drama must be able to work as a standalone. Who owns the completed work? The completed drama is owned by the producer and the underlying rights to the material are owned by the writer. Where do the dramas play? The dramas play on RTÉ Player and the international RTÉ Player. Note that Storyland isn’t geoblocked so your dramas can be seen in all territories worldwide. Can you make a submission if you did not attend either of the information events? Yes, the information events are not a compulsory part of the submissions process. If the piece were to travel, could it be translated or subtitled? The dramas commissioned by Storyland 2019 will be made available worldwide on the RTÉ Player. If you wish to create a subtitled version of your drama this will need to be factored into the production schedule and budget. Storyland will not provide additional resources for this. Do we produce in other languages? If the story needs to be told in a language other than English (but matches the submission criteria for Storyland 2019) it should not be taken as an obstacle to submission. We will need English language submissions and English language subtitles. Will there be a network set up to connect writers and producers? Social networks that facilitate connections between their users, such as LinkedIn or Facebook, are open to anyone to join. RTÉ and Screen Producers Ireland already have official accounts and these are run corporately. Storyland isn't setting up a LinkedIn or Facebook page as we haven't got the resources to properly administrate them.